Now you can explore this famous landmark during a one-hour guided tour, or attend one of the events designed to entertain and inspire you. Your support will help preserve this historic treasure. 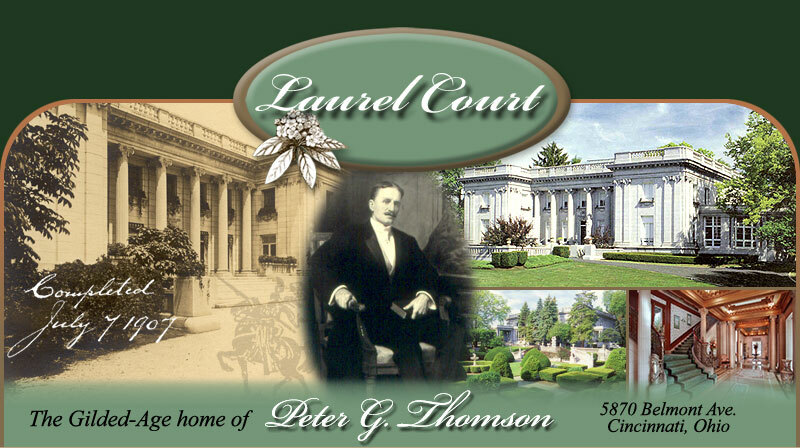 Laurel Court was built for Peter G. Thomson, founder of The Champion Coated Paper Company. Started in 1902 and completed in 1907, it is one of America’s best surviving examples of the opulent homes built during the “gilded age”. Upon its completion, Laurel Court was described as "the most sumptuous and palatial in this part of the country….finished with all good taste can command." 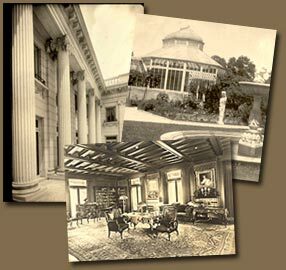 Laurel Court, located in the Cincinnati community of College Hill, was built on an estate of approximately 23 acres, on the highest point in Hamilton County (greater Cincinnati). Laurel Court is a beaux-arts structure designed by architect James Gamble Rogers. Modeled in the style of the Petite Trianon in Versailles France, Laurel Court stands today as one of the finest residences in America, and one of many notable works of James Gamble Rogers. Its stately chiseled granite exterior, and elegant interior finishes, display the skills of the artisans who created this distinguished residence. Today, the main house, cottages, and carriage house rest on 7.5 acres of land, enhanced by a French garden, Japanese garden, a classical wisteria-covered pergola, and many statues and fountains. Laurel Court was listed on the National Historic Register in 1979. ©2012 Laurel Court All rights reserved.